"Thank you for the way you structured the driving program ... spread out and taken a step at a time to ensure we understand exactly what we are about doing and how it's done here. I want to say a big thank you to my distinguish instructor, Mr. Brain Scheideman. Thank you for your patience and commitment during my behind the wheel driving session. I lack words to express how grateful I am. [F]rom the depth of my heart, thank you very much for laying a good foundation for me to build on." "I got my license today! I can’t tell you how much anxiety you eased and how much you changed my life! I was going into the DMV and was so anxiety-stricken. You made the process so much easier. Thank you!" 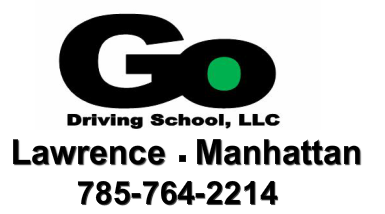 "I was initially very nervous to sign up for Driver’s Education because I’m already in my 20s and had avoided driving for a long time .... After doing some research, Go Driving was the clear choice and I’m happy I went with it! The instruction was clear and excellent. I loved the ease of scheduling and the sense of humor all of the employees have. Alan was my favorite to drive with, but I seriously could not have asked for better instructors overall!" "Your friendliness, social skills and humor add a lot to the experience! I like how you use names as you are teaching and discussing--it keeps everyone engaged!" "Daughter was nervous before class but came home relaxed and excited to start driving. Really enjoyed Walter’s teaching technique. Thank you."